It will come as no surprise to pet owners that pets do indeed enjoy good design as much as we do. 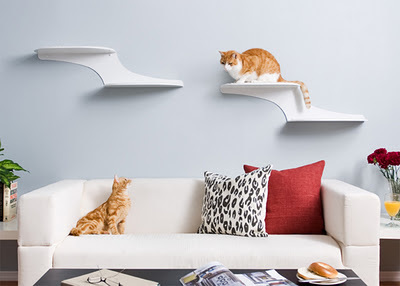 These Cat Clouds from The Refined Feline offer up exactly that...high end design that will keep you cats busy. A perfect furnishing for an urban loft or modern ranch.